If you want to use pegs to hang your nursery wall art on a line like clothes don't just use plain wooden ones. Here is something you can do to make them a bit more attractive. Use acrylic paints to paint the pegs with a base color. When the base is dry use a fine brush to add patterns to the base. If you are using them to hang alphabet cards you could also add a letter to the peg to match the alphabet card that it is going to hang. Stick wallpaper off cuts or patterned paper cutouts to the pegs in your baby nursery colors. Just place the pag on the paper, draw around it, cut out the shape and stick it to the peg - simple. You can cover this with a layer of modge podge afterwards if you like to make it more durable. Baby nursery pegs can be used to hang alphabet cards, photos or wall art. And later on they're perfect for displaying all of your toddler's little masterpieces! 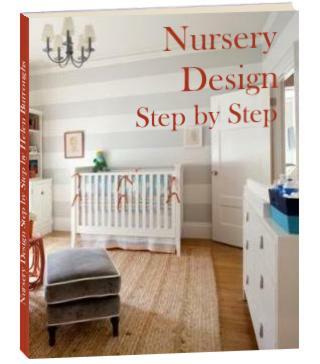 More Great Baby Nursery Ideas!